Introduction: In this lesson, students will work on problem solving skills as they relate to story events. Before reading the story or asking students to problem solve on how to get rid of the oobleck, you can ask students how they solve problems in their own lives. Ask for a few volunteers to share with the class a time when they had a problem and solved it. If students can’t think of any problem solving stories, then draw their attention to a problem in the classroom and how it was solved. The important thing is that students make a personal connection with problem solving skills before they try to solve the book’s problem or point out the solution. The Lesson: Read Bartholomew and the Oobleck by Dr. Seuss up to the point when Bartholomew suggests to the king that he should apologize. Then stop reading and ask students: How will the king solve the problem of the oobleck? Or you can ask: What is the problem the king is having in the story? Then ask students to brainstorm ways that the king could solve his problem. Explain to students that when people have problems, they often think of many solutions and then choose the best one. Students can work in pairs or small groups. Once they have brainstormed a list of solutions, each group should choose the one they like best and defend it to the rest of the class. Closure: At the end of the lesson read the rest of the story to the students to show them the way that Dr. Seuss chose to solve the problem. Did any groups come up with this solution? Ask students what they think of the solution to the story’s main problem. Introduction: In this lesson, you will discuss characters’ motviations and feelings throughout the story. While reading the Dr. Seuss story to students, discuss with them different emotions that the characters may be feeling during the story events. Focus on the main and minor characters. Students can use the text as well as the illustrations to make their assumptions. The Lesson: Discuss with students different emotions that people feel. Ask students to give you examples of times when they have felt those emotions or examples of when people feel a certain way. After your discussion, ask students to write about three of four of the emotions and which characters feel this way in the story. Students should write the emotion, the character who felt this way, and why he or she experienced this emotion in the story. For an extra challenge, students can also write about a time when they felt this way and make a personal connection with the story. Motivation is a little harder for students to understand. One way you can start a discussion on motivation is by focusing on the king and asking students: What is the king’s motivation for asking the magicians to do something different with the weather? The answer would be that he’s bored with rain, snow, and so on. So, the king is motivated by boredom. Once you make a few comparisons to the story characters, then you can discuss with students motivators in their lives such as: What motivates you to study for a test? What motivates you to go to soccer practice? Closure: Each student can pick an emotion, and create a display about it–write a paragraph that describes a time they or a character in Bartholomew and the Oobleck felt this way. Then they can draw an illustration to go with it. 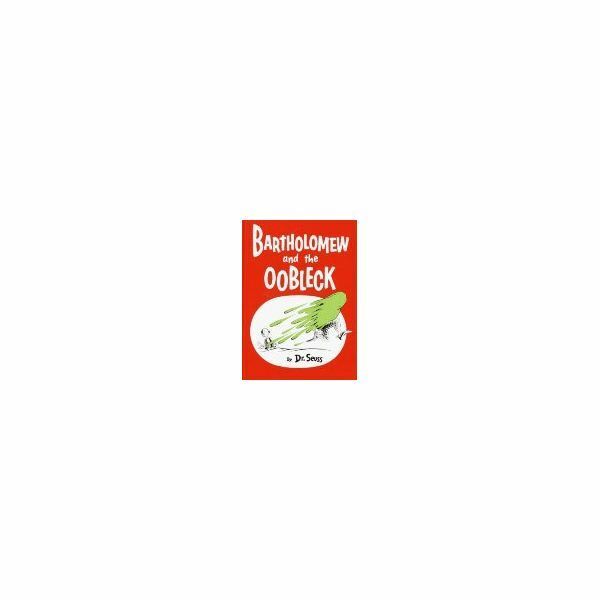 This series has articles about Bartholomew and the Oobleck by Dr. Seuss and ways to use it in the classroom.